By Tim Royner: Former IBF welterweight champion Kell Brook has reportedly been removed by the World Boxing Council’s top 15 ranking due to him choosing not to enroll in their VADA Clean Boxing Program. The WBC automatically removes fighters when they fail to enroll in their WBC Clean Boxing Program after a certain period of time. It’s not the end of the world for the 32-year-old Brook (37-2, 26 KOs) that he’s been removed from the WBC’s rankings because he doesn’t need to work his way to a title shot against WBC junior middleweight champion Jermell Charlo. Brook will get a title shot against Charlo whenever he wants the fight without needing to be rated #1 with the World Boxing Council. Charlo, 28, is anxious to fight Brook, and he’ll give him a title shot when the time comes. It’s up to Brook when he wants to challenge Charlo. For the time being, Brook is trying to earn a mandatory title shot against WBO 154lb champion Jaime Munguia (29-0, 25 KOs). #6 WBO Brook will be facing #4 WBO Brandon Cook (20-1, 13 KOs) later this month on July 28 in a WBO 154lb. title eliminator bout at the O2 Arena in London, England. It doesn’t make sense for Brook to be involved in the WBC’s Clean Drug Program if he’s not going after their title as a challenger. Brook is looking to face WBO champion Jaime Munguia. If Brook wins that fight, then he would be eventually facing WBC champion Jermell Charlo in a unification fight. If Brook wins that fight to capture the WBC title, then he probably will enlist in the WBC’s Clean Boxing Drug Program in order to hold onto the WBC title for as long as possible. But for right now, it doesn’t make sense for Brook to be part of the extra drug testing. Brook has fought once since moving up to 154. He beat Sergey Rabchenko by a 2nd round knockout last March in Sheffield, England. Before that fight, Brook had lost back to back fights to Errol Spence Jr. and middleweight champion Gennady ‘GGG’ Golovkin. Those were always going to be tough fights for Brook, and it’s not surprising that he lost both of them by knockout. Brook suffered eye injuries in both of those fights that caused him to bow out after the injuries got too bad for him to continue. If Brook beats Brandon Cook on July 28, there’s a good chance that his next fight will be against Amir Khan at 147 in December. Khan says he’s not going to go up to 154 to face Brook. If Brook wants the fight against Khan, he’ll need to drop some weight to come down to 147. Brook is capable of losing the fight, but he might be weakened in the process somewhat. 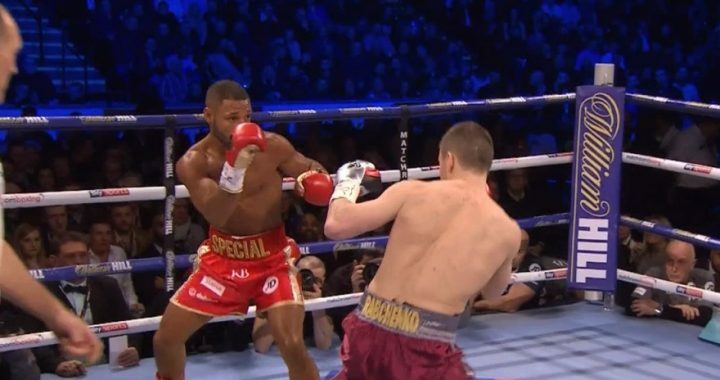 However, Brook will still have a great chance of scoring a knockout against Khan early on if he can catch up to him to connect with one of his hard shots.